They can pick out exactly what they need, or we can custom build clubs specificaly for them at no extra charge. The Easy Way to Give the Gift of Golf! Your special recipient can pick out the perfect gift, even when you don't know exactly what to give. 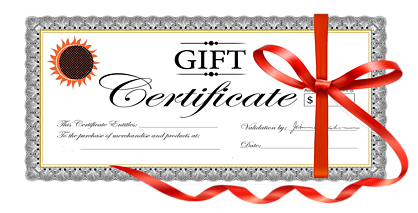 Take the guesswork out of gift giving! - These certificates are available in any denomination of $10, they never expire, and they can be redeemed for any product on ThomasGolf.com. - Fast: We will send it to your recipient's email electronically so no one has to wait for mail and you don't have to worry about being late. You may select any multiple of $10 by increasing the quantity after you add this to your shopping cart. You may also enter the recipient's name, email, and any special instructions into the comment box at checkout.